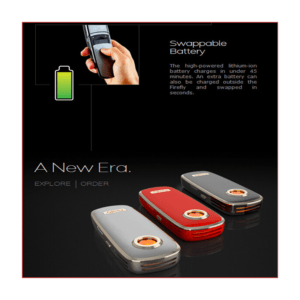 The Firefly 2, by Firefly Vapor, is an ultra-sleek, ultra-modern, and ultra-high-tech vaporizer. This dry herb and concentrate vaporizer comes fully loaded with cutting-edge, smart, and savvy features for $324.99USD. If you are a regular reader of Spinfuel VAPE this $329.95 price tag might create sticker shock considering the usual $59-$99 price range for some of the best vape juice Box Mod and Sub-Ohm Tanks we review all the time. But the Firefly 2, and a whole lot of other vaporizers in this category are nothing like the mods from SMOK, Joyetech, Eleaf, Lost Vape, and all the others. Dry Herb and Oil Concentrate vaping is a very different from what we are used to, but it is also one of the fastest growing segments of the entire vaping marketplace. Getting to know, and understand, how vastly different this world of vaporizers and vaping is to what I’ve been doing these past 6 years has been exciting, educational, and a bit mind-blowing, in the literal sense. You see, as much as all the companies that make these types of vaporizers want to tell you about dry herbs made from lemongrass or lavender oils and waxes there is a single dry herb that makes up 95% or more of the materials vaporized in this type of device. The Firefly 2 and the several dozen other dry herb vaporizers are built to vaporize marijuana, or cannabis if you prefer. Cannabis comes in various forms, its original dried marijuana leaves and buds, THC oils and waxes, and CBD oils and waxes, (with or without THC) and a good vaporizer knows how to get the most out of these elements and provide a smooth, enjoyable vaping experience. For many, the Firefly 2 is the chosen, intelligent vaporizer they look to for that ultimate vaping experience. The Firefly 2 is a terrific device for vaporizing dry herbs and concentrates. 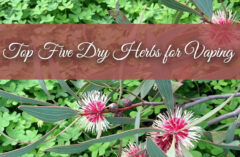 It is different than most dry herb machines because of its superior construction, design, and smart features. Its multiple heat settings allow the user to tailor the experience depending on the material being vaped. But, the biggest feature? Convection Heating. I received my Firefly 2 more than 2 months ago and it wasn’t until a few days ago that I finally felt I understood enough about this type of vaping to write a coherent review for this marvelous device, and not blow smoke about its uses. I know some people have to play a game when it comes to recreational use for pot, but the fact is, the Firefly 2 is used mainly for pot, and once I understood and accepted that a real, honest review, would have to step up and admit it, I couldn’t find a narrative that rang true. The Firefly 2 Vaporizer is a portable convection vaporizer. It will heat the material in the glass chamber with super-heated air, and it is this convection process that makes it different than most of the other dry herb vaporizes on the market. 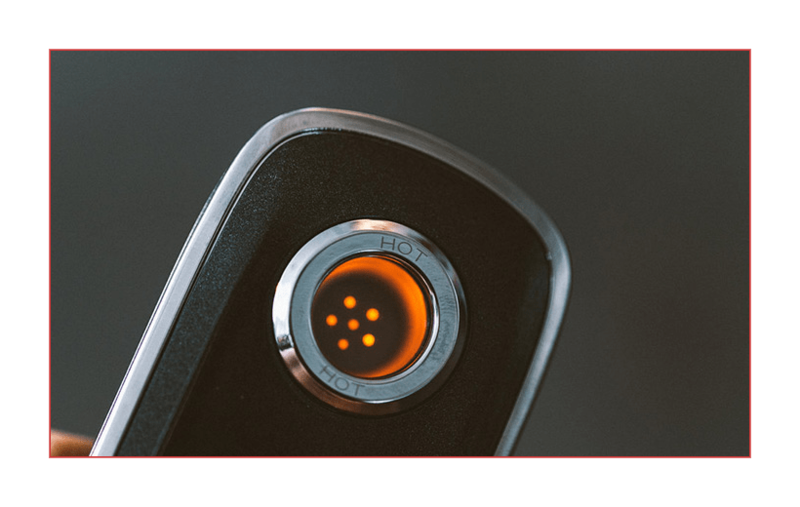 The advantages of convection heating include a superb flavor being drawn out because all the material is heated at once, and only when the user takes a hit from the Firefly 2. Convection heating produces a very smooth draw, so the vapor being created is always a soft, non-harsh vapor. If you’ve ever “smoked” marijuana by setting it on fire then you know how much coughing is involved, even in the best stuff. All that coughing and sore throat business is gone with a high-quality vaporizer. Convection heating works equally well when vaping other dry herbs or real concentrates. And the way the Firefly 2 is engineered, it’s on-demand heating technology means that between ‘hits’ no vapor is created, nothing is wasted, and the battery life is extended. 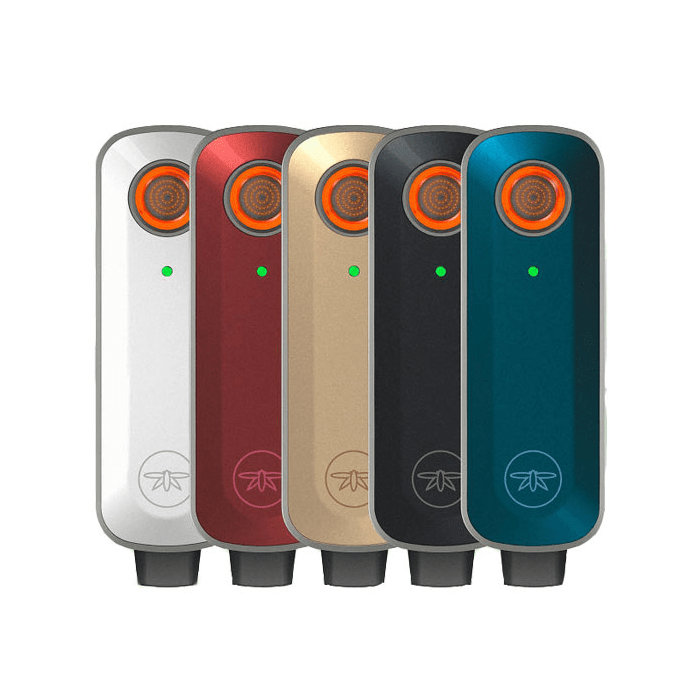 It is this convection technology, built around an entire Firefly system, that makes the Firefly 2 a much in demand vaporizer. 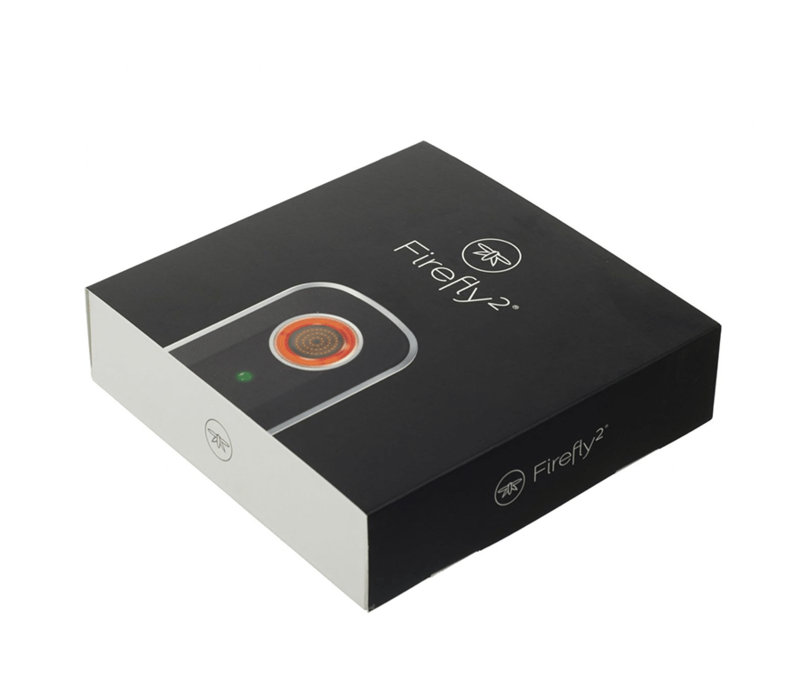 The Firefly 2 is the second Firefly, coming off a very successful launching of the original Firefly. Although like the original, this new, version 2 model, is the first Firefly with on-demand dynamic convection vaporizing. 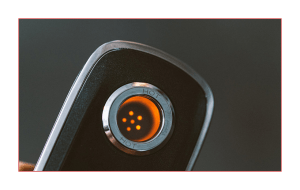 The utter brilliance of On-Demand Convection Heating is how the folks behind the company, Firefly Vapor, understand how these vaporizers are ‘actually’ used. Sure, as I said above, on-demand convection means it only heats when a draw is taken, but there is a more active use for this on-demand technology. Being able to satisfy the people who enjoy a quick toke or two during the day or out on the town, all without wasting the herbs in the chamber is vital to the growth of the brand. Using convection heating as an on-demand method is a natural. The Firefly 2 uses a 50W heater and a borosilicate glass bowl. Borosilicate glass is very heat resistant and dissipates heat far better than soda-lime glass, which is what most glass is. The nice thing about this segment of the vaping community; no one calls this borosilicate glass Pyrex. Inside the Firefly 2 there are six heat settings. 5 heat settings for dry herbs, (340, 360, 380, 400 & 420 Fahrenheit) and one setting for concentrates, 500 Fahrenheit. The Firefly 2 allows the vaporizer to reach 400 Fahrenheit in 3 seconds and 420 Fahrenheit in 5 seconds. The borosilicate glass bowl keeps the temperature down a minimum. The Firefly 2 comes with 55 hole ‘pattern’ at the base of the bowl so it takes in a huge amount of air. I don’t have any personal information or experience with the original Firefly, but I’m told that the Firefly 2 is 33% smaller, 55% lighter. Better engineering has reduced the overall size, and the original Firefly was Stainless Steel, a heavy metal, so Firefly Vapor switched to a magnesium alloy. This smaller and lighter Firefly becomes much more competitive in the portable vaporizer arena. The Firefly 2 comes with a set of two swappable batteries. The Firefly 2 vaporizer ships with its own cleaning kit comprised of two sword-like tools, a multi-sided brush, and isopropyl (alcohol) wipes. Inside the package is a USB charging dock and 3 concentrate pads. 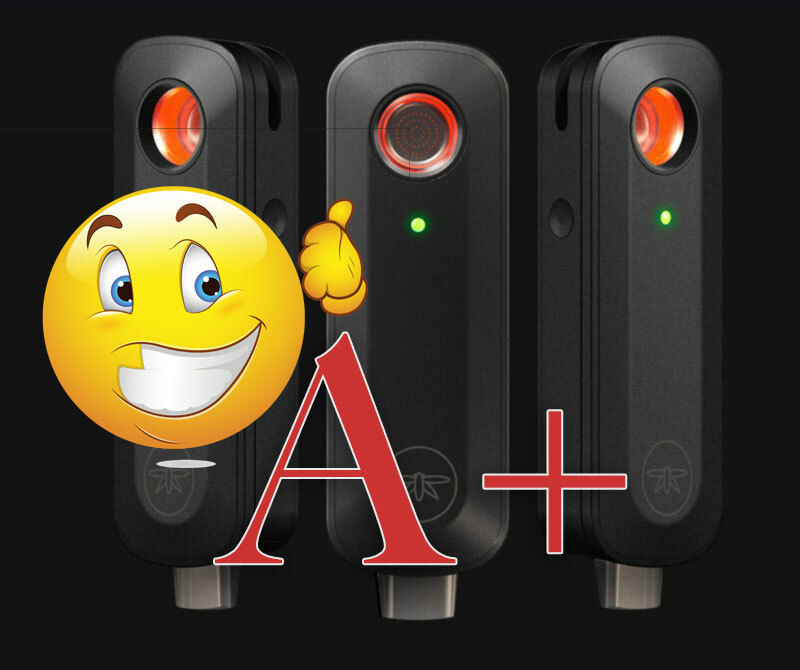 When I began my review I focused on these pads as a way to get to know the feel of using the Firefly before I stepped up to vaping marijuana and other real herbs. Sophisticated vaporizers on both sides of the aisle are making use of apps from Apple and an Android smartphones. 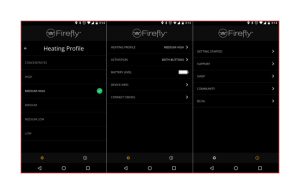 These apps control certain aspects of the Firefly 2 via Bluetooth 4.1 when connected to the Firefly 2 through the smartphone. The interface of the app is easy to understand and use. The ability to change the temperature for a certain dry herb or even control the setting for the concentrates. Of course, the user can keep an eye on the battery charge level as well. 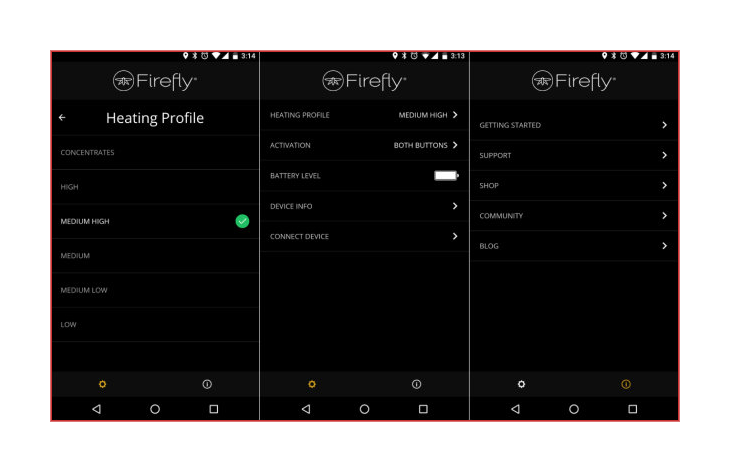 New features and controls for the Firefly 2 app are in development now. One thing to keep in mind when using a dry herb vaporizer is that it needs to be cleaned on a regular basis. For those of you reading this review who are vape juice and box mod/sub-ohm tank users, cleaning a vaporizer like the this one is very different, and even more important. The Firefly 2 does require less cleaning and maintenance than many other dry herb vaporizers. The user can put off cleaning for several vaping ‘sessions’, equivalent to vaping up to 25 bowls! of herbs. Naturally, there will be occasional buildups on the glass window. The Firefly 2 has no screen in the bowl, so all the user should do is to clean it is to use an isopropyl wipe (included) followed by a quick wiping down of the body and the lid. It’s fast an easy, and best of all, the cost for replacement alcohol wipes are pennies when purchased through Amazon. Coming from the other side of the vaping community, batteries are something I understand. During my research of the Firefly 2 I learned that the original Firefly, despite being larger and heavier, had a short battery life. When designing and constructing the Firefly 2, the engineered focused on creating a successor to the original that would no longer face criticism over the life of a charged battery. The new, efficient battery system in the Firefly 2 has increased battery life by more than 100%, even when used at the maxed-out settings. Today’s Firefly 2 can vape through six bowls of dry herb before needing a recharge. I don’t know about you, but if I own a Firefly 2 for the sole purpose of vaping cannabis, 6 bowls would be more than a couple of days. That said, when vaping with concentrates the battery life is going to be lower, despite the much-improved battery management system. Still, the Firefly 2 comes with two swappable batteries, so when the first draws down, swap it out, and begin the short recharge time for the first battery. Firefly Vapor says the battery can be fully recharged in 50 minutes, my experience was timed at 46 minutes and a few seconds every time for the past several weeks. Granted, by the time I was ready to write the review, the seconds began to get longer, and I’m about to reach 47 minutes for a full recharge. While I did spend some time vaping some lemongrass dry herb, and soaking the pads with oils in the beginning, once I felt I knew my way around this very different vaporizer (from what I was used to) I began using it strictly for vaping pot. If you smoke a little pot now and then, or smoke a lot, you do not know what you’re missing by not vaping pot with a dry herb vaporizer. For years, no matter how good, or clean, the illegal pot I was buying, the fact remained that every rolled joint, every hookah experience, burning pot causes sore throats and wicked coughing fits. Now imagine being able to enjoy truly thick, cool marijuana vapor without ever coughing and without ever needing to care for a sore throat. Imagine being able to stay comfortable, relaxed, and cough-free every time you feel like taking a toke or two. The Firefly 2 lit something inside me, something I never thought would happen again. Decades ago I smoked more than my fair share of pot, but after a while I began hating it. I hated the coughing, the ashes, the hassle of separating stems and seeds. But we live in a new age now, and rediscovering all the beneficial aspects of using cannabis instead of alcohol, through the use of the Firefly 2 reminded me that I use cannabis again, and enjoy it. Recreational use of marijuana is taking off in the United States. Even New Hampshire has legalized it for certain medical issues, and Massachusetts has legalized it for recreational use. There are no pot shops yet, but they are coming. What is happening in Massachusetts now, however, is a more open environment, and most important of all, an increase in quality like I’ve never seen. My 40-year-old friends that live in Massachusetts have all the connections they need to get superb pot now, and for less than half the price of 5 years ago. So, I drive down to Massachusetts to see friends, and to be “gifted” an ounce of pot now and then. (Of course, taking it over state lines is big no-no). When I get home, I use a dry herb cleaner to break down the pot and get it in a suitable form for the glass bowl in the vaporizer. If you indulge in marijuana, (a safer indulgence than alcohol consumption), a vaporizer is the only way to indulge. As for the Firefly 2 itself, the positives outweigh the negatives by at least 10 to 1. The Firefly 2 delivers outstanding flavor and cool vapor. It is easy to use and easy to clean. And you don’t need to be some kind of expert to use it well. This device is, as I’ve already said, great for dry herbs and concentrates. But honestly, my intention with the Firefly 2 and several other dry herb vaporizers I will review in the coming weeks, is to vape marijuana. Let’s get real; if I was interested in vaping for different flavors, I have a collection of box mods and sub-ohm tanks that cost a fraction of a good dry herb vaporizer, and I do love my vape juice. No, a dry herb vaporizer is worth big bucks for the way it delivers soft, cool vapor of marijuana. An excellent video unboxing and explanation can be found here in this video by TheVape.Guide.